For those without a TV, Facebook, Twitter, Google+ or an internet connection, the only Vice Presidential debate scheduled for this election year took place last night. While most were probably checking out the fervid debate between their own Facebook friends and those they follow on Twitter, Google was turning it into something quite entertaining. Ryan searches veered in a totally different direction, with people trying to find him shirtless. Those results must have been favorable, as the trend then moved to questions about his workout routine. It seems as though people started to get a little stumped by the language being tossed around and went searching for definitions so they could better understand the arguments being made. Be careful not to conflate gossip with real news. He thinks everything politicians say is just a bunch of malarkey. As far as the final search term that rounded out the rise in volume during the debate, I’ll let someone else provide you their opinion on that one. How about you? Did you Google anything during the debate? 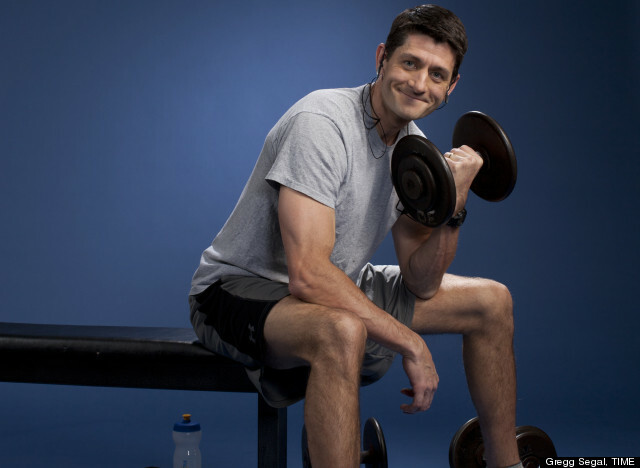 Are you going to sign up for the Paul Ryan workout plan? Let us know in the comments below!